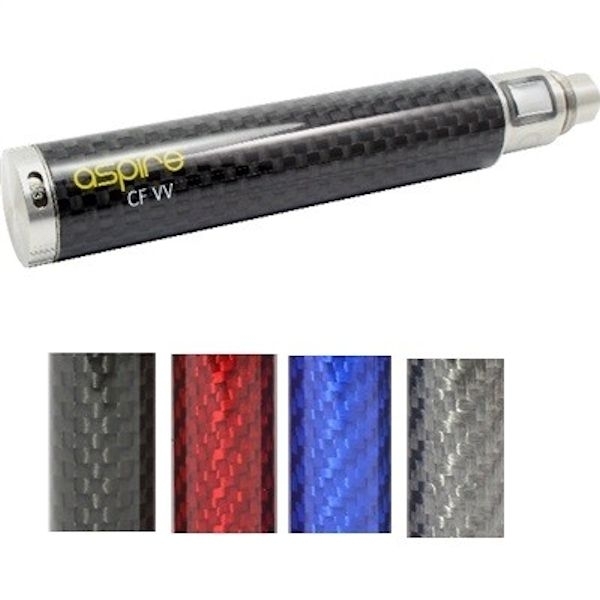 A high end eGo style spinner battery made from tough and durable carbon fiber. The colors on these will not rub off or change color over time. 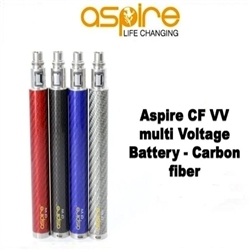 The technology put into these Aspire batteries are state of the art and reliable. Their new approach to the eGo connection post is a huge step in its design. 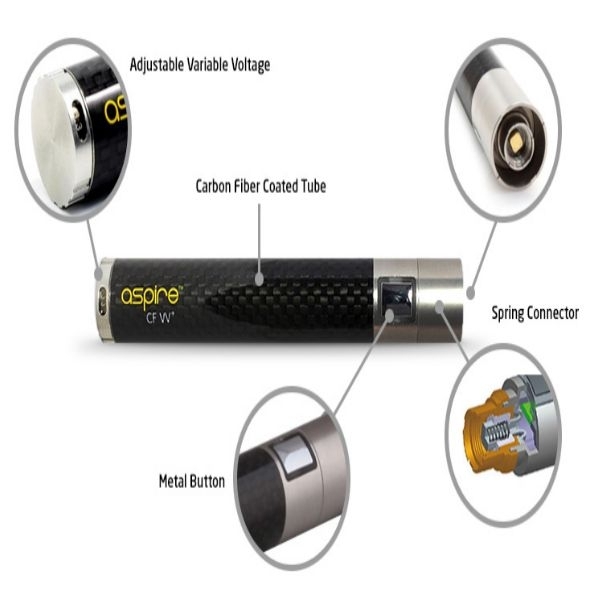 These are the first eGo style batteries to place a spring in the connection post so it always has a connection with practically anything you put on it. This means no more having to pry a post up if something pushed it down or if you tightened it on the charger too hard. Press button 5 times in succession in 2 seconds. The LED will blink 3 times (both blue and orange lights) and the button will illuminate Blue when active and the battery is now turned ON. Repeat this procedure to turn battery OFF. Always start the voltage at 3.3V (lowest setting) and little by little increase the voltage while taking hite every change. As soon as you find a voltage you are happy with stop adjusting and enjoy. 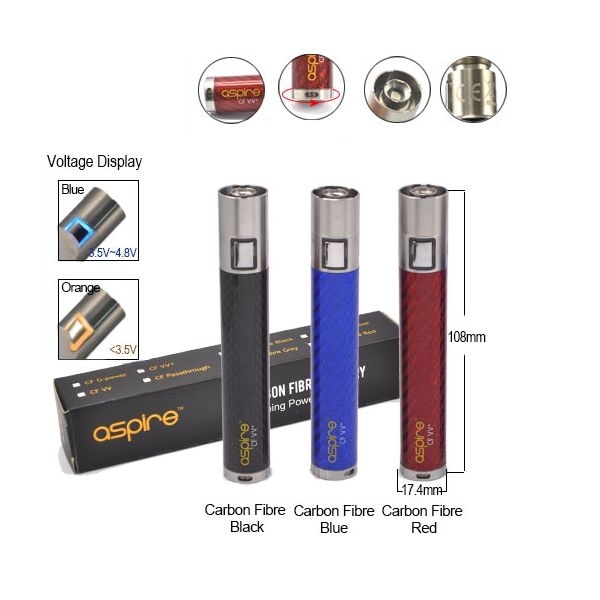 1.Unscrew the battery from the vaping components. 6.Once fully charged, the USB charger will display a green light, and the LED light on battery will turn off. Battery takes 2.5 hours to charge depending on its current voltage. We recommend that this battery be charged a FULL 24 Hours before using. 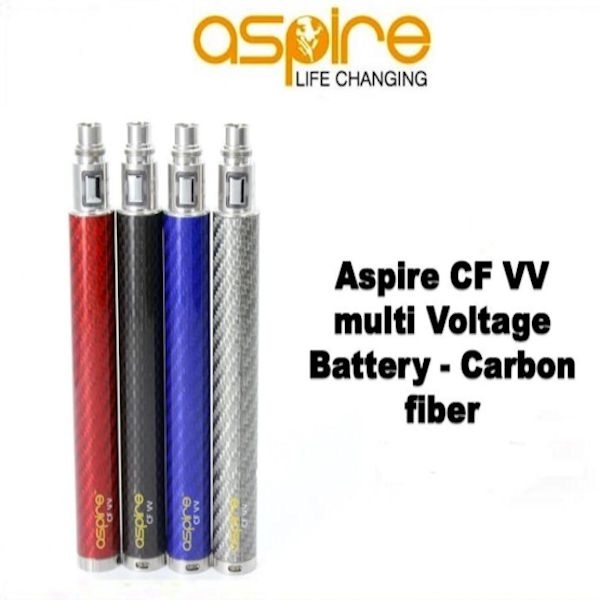 Aspire VV offers same safety features and options as many other spinner/twist type batteries with an included battery LED monitor. If your battery drains below 3.5V the LED in circulating the button will change orange. If you have over 3.5V battery life the ring around the button remains Blue. 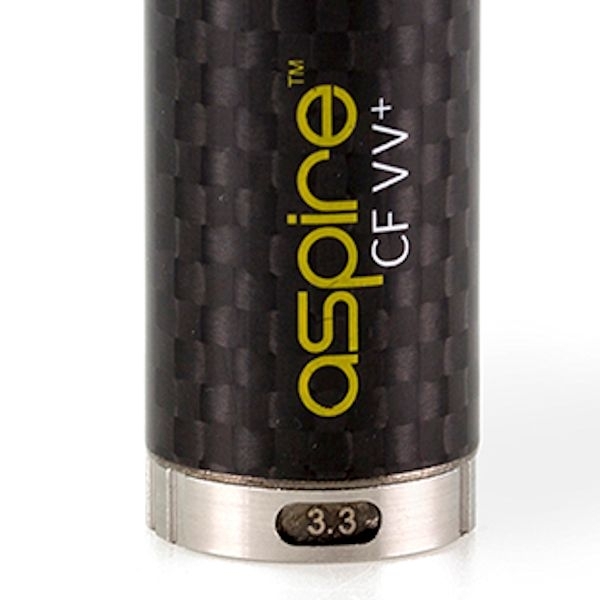 You can adjust the voltage of the battery from 3.3V to 4.8V. Aspires adjustment knob clicks in to place with every adjustment allowing you to know where the battery is set to and also prevents from accidental spinning.